This summer, True Food Kitchen Biltmore is heating up the happy hour scene with an offering that’s almost too good to be True. Now through Labor Day, Arizona’s favorite seasonal restaurant and scratch bar invites guests to celebrate summer with a specially-priced happy hour every Monday – Friday from 3-6pm. 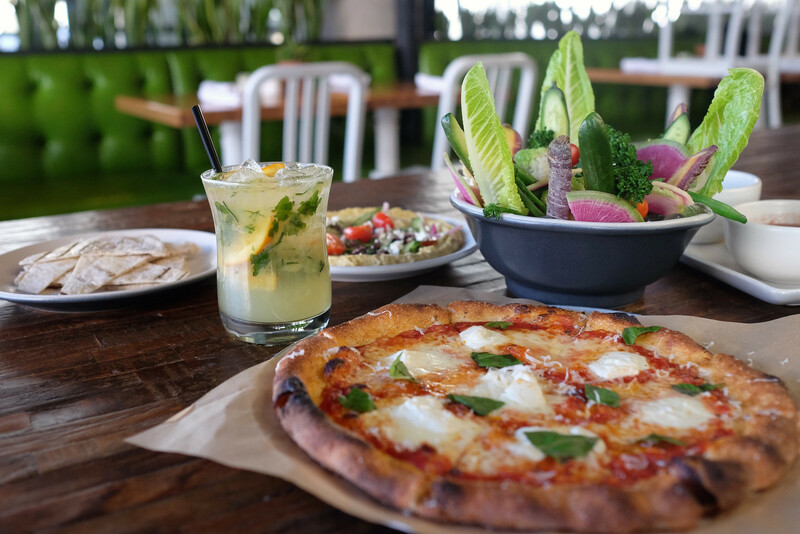 True Food Kitchen’s healthful happy hour menu features some of the restaurant’s most popular dishes like the famed Tuscan Kale Salad ($7), Margherita Pizza ($8), Herb Hummus ($8), Small Farmers Market Crudité ($7) and more. Don’t want to choose just one? Guests can make it a TRUE TRIO by selecting any three dishes from the happy hour menu for just $20. Because no True Food experience is complete without a signature sip from its seasonal scratch bar, the summer happy hour is also brimming with beverages like the Citrus Skinny Margarita ($7) and a selection of organic Red, White and Rosé wines for $5 or “buy” the bottle for only $18. True Food Kitchen at Biltmore Fashion Park is located at 2502 E Camelback Rd, Ste 135, Phoenix 85016. *Happy hour available at Biltmore location only; dine-in only. Not available at True Food Kitchen Scottsdale Quarter. True Food Kitchen is a health-driven, seasonal restaurant merging nutrient-rich ingredients with a flavor-forward menu that rotates regularly to let guests experience great-tasting ingredients at the peak of their freshness. The open kitchen brings guests closer to their culinary craft while showcasing that there’s nothing secret about the way they prepare their dishes.